This organization was made to eat the Pokegod Beilvers! 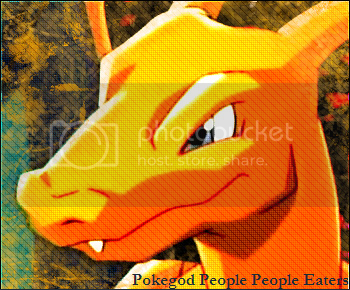 Pokegod People People Eaters People! If you start out as a member and do something specail or something you could get promoted! PIKABLU SPRITE FROM RATIPHAROS thanks! Glitchby,Blitzer,Missing?NO!,Recoil In Fear,Jacob and Drew Glitchmast,Bobaloo,Flygonlover,Axaj,Sorreah,Fivex the 3rd,Kannon,Playon999,???? (000),Rachel Starlight. @PD this is the pikablu sprite i was talking about! Re: The Pokegod People People Eaters! well 1st whats a macro? What the hell is this? Is this some kinda club or something? Or an army? edit: also, stupid people don't taste all that good. It is a sorta strike to stop the n00bs with their Pokegods. I was thinking of Changing the God and Adam picture. They are those small ones that people sometimes use. Tell me what you think, Any suggestions, ect. i dont know much about pokegods but i do know one that is a real pokemon. AND ON OUR QUIZ SHOW TONIGHT THE QUESTION IS.......WHICH POKEGOD IS A REAL POKEMON? first one to post answer wins! oh, i forgot! im joining too!!!!!!!!! PS: i will just tell the answer to my last post. the pokegod (sort of) that is a real pokemon is.........ARCEUS, THE CREATOR OF DIALGA AND PALKIA! Do you realize that you have "people" twice? Well, do you want to join? Probably not. Idiots give me indigestion. Plus, my goal is to educate them, not have them for dinner.